Spearpoint Ranch website. 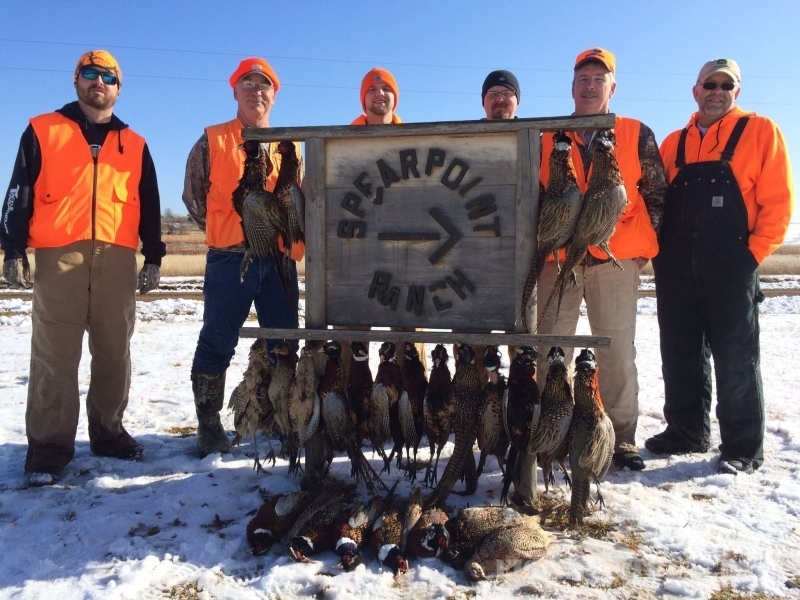 For an exciting, rewarding, and private pheasant hunting experience with your personal group, Spearpoint Ranch would be a great choice. We are not a high-volume, fill every bed every day of the season game bird hunting operation. Find out more about Spearpoint Ranch. The only other guests you will have to put up with are the ones you bring. 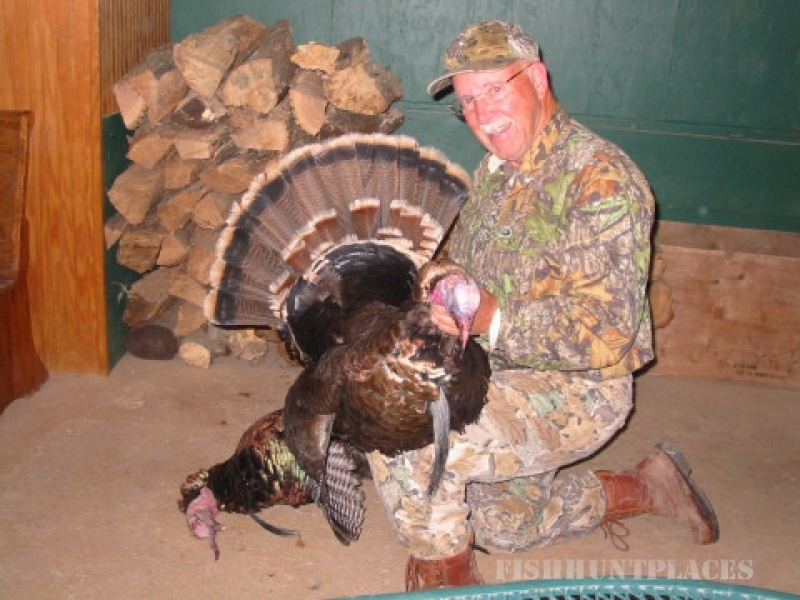 Whether it be 3 or 13, your group has sole use of the facilities and upland game hunting areas. 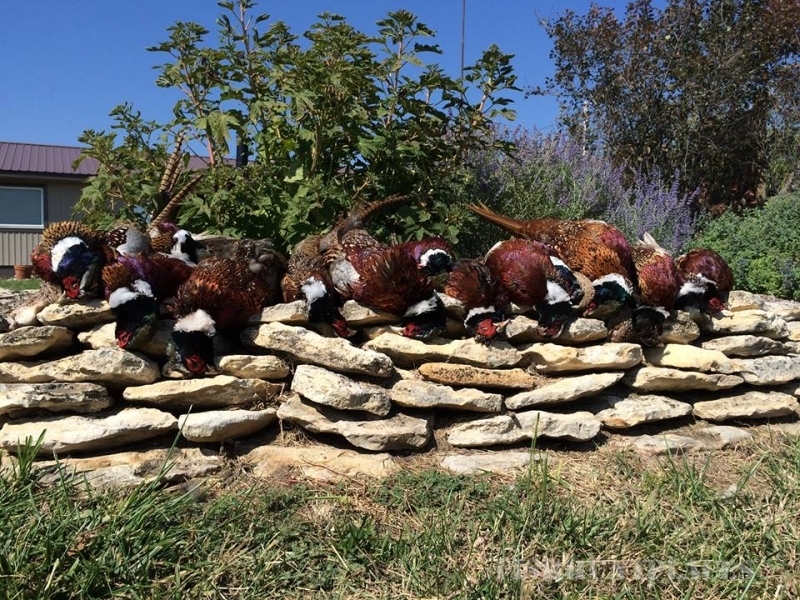 This leads to a very comfortable and relaxed atmosphere where clients can become buddies and everyone can enjoy great hunting, great food, and exceptional hospitality. 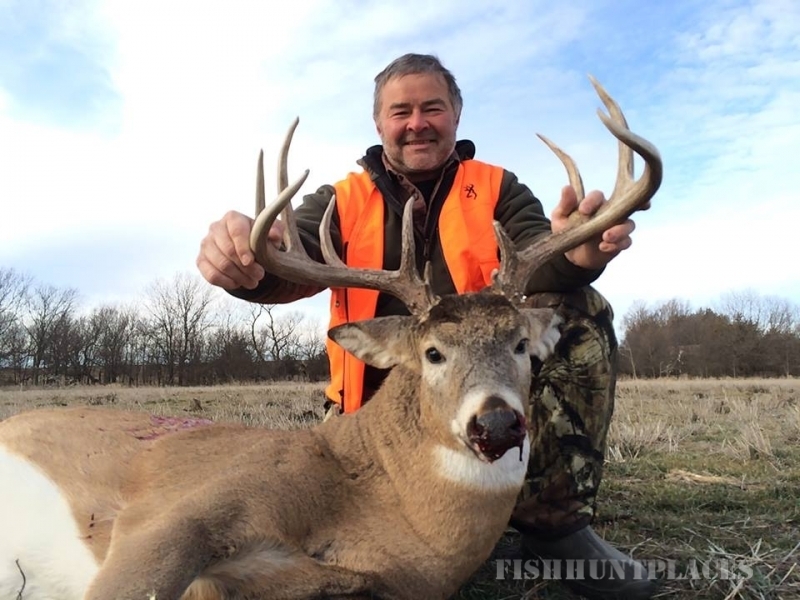 Hunts are conducted in a variety of terrains from open hillsides, to CRP fields enhanced with food plots and cattail sloughs, to wooded creek bottoms. Family groups, business associates, women's groups, and other groups wanting the relaxed atmosphere of staying and hunting with only your companions. Minimum group size is 3 people. We can accommodate up to 13. Parties will be divided into groups of 6 hunters or less for safety. Groups will be accompanied by a guide/dog handler to ensure a safe and enjoyable hunt. A license to hunt on our controlled shooting area is $17 vs a $72 Kansas nonresident fee. 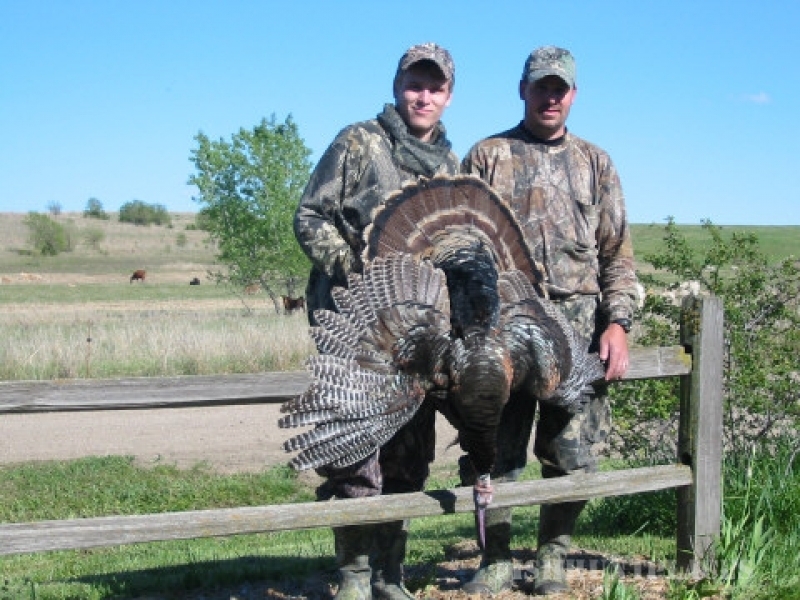 A Kansas resident or a non-resident license is also acceptable on Spearpoint Ranch.